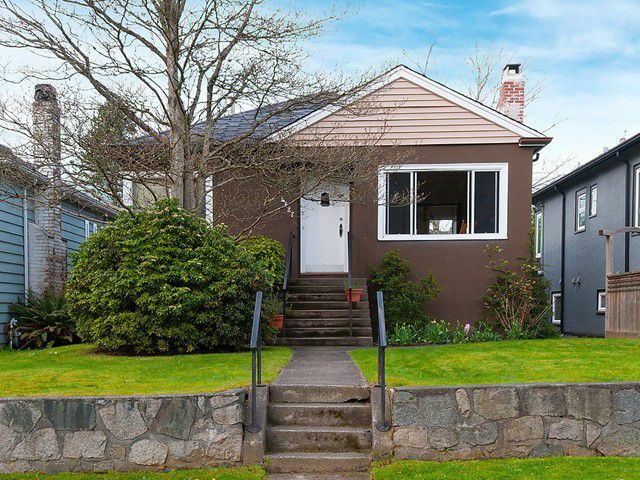 Tranquil Point Grey location with Mountain & Park view potential. One block to Pacific Spirit Park & bus line and 5 blocks to West 10th Avenue shopping community. Lord Byng, Jules Quesnel & Queen Elizabeth school catchments are close as well as UBC & St Georges. Built in 1941, this solid well maintained home has is ideal to hold or build your dream home. Attractive, quiet street in an established neighborhood.